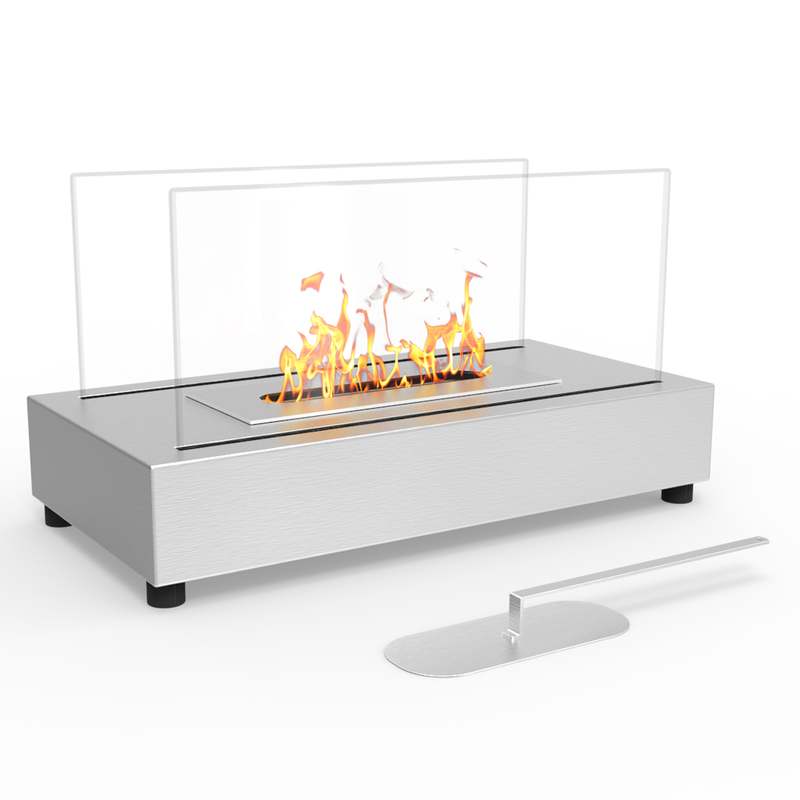 The Stainless Steel Avon versatile modern ethanol fireplace has a sleek design with glass panels that allow for maximum fire visibility. Portable and can be used both indoor and outdoor. 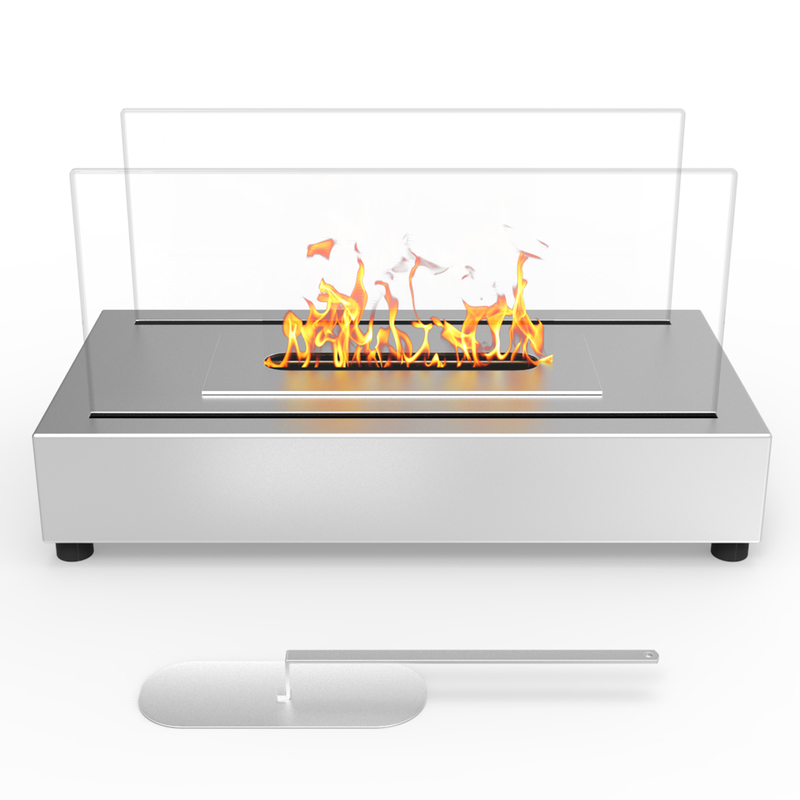 Features a simple way to add fire to any setting. 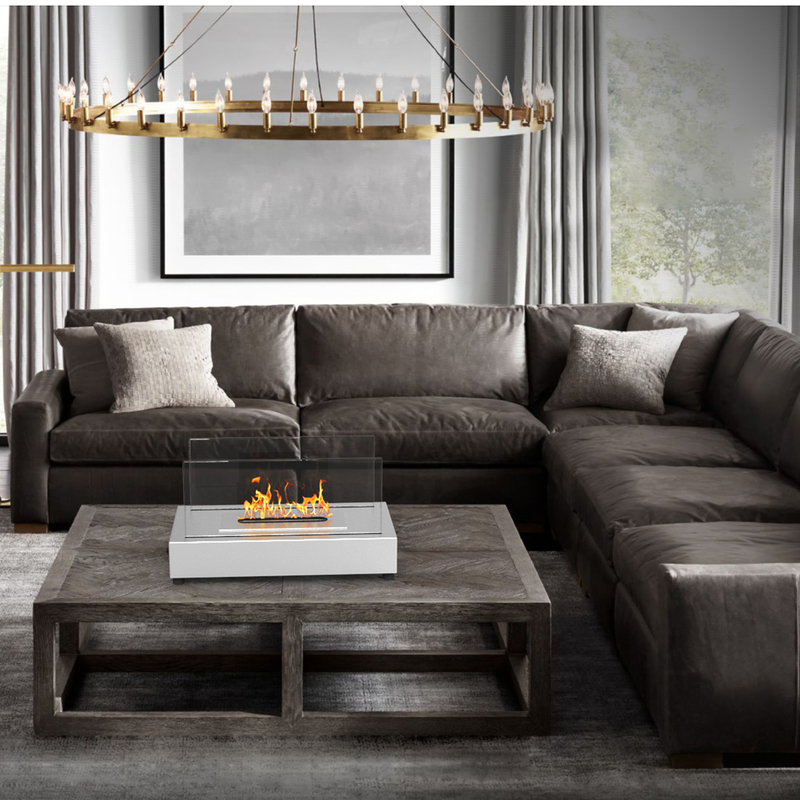 It's modern and compact design make it a great home accessory. 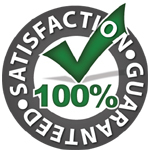 Place it in your existing masonry hearth as a replacement for a traditional log or gas fire or use it as a standalone. Absolutely love this fireplace. When lit,I find myself in a more relaxed state of mind. I’m seriously thinking about buying another one to sit side by side. 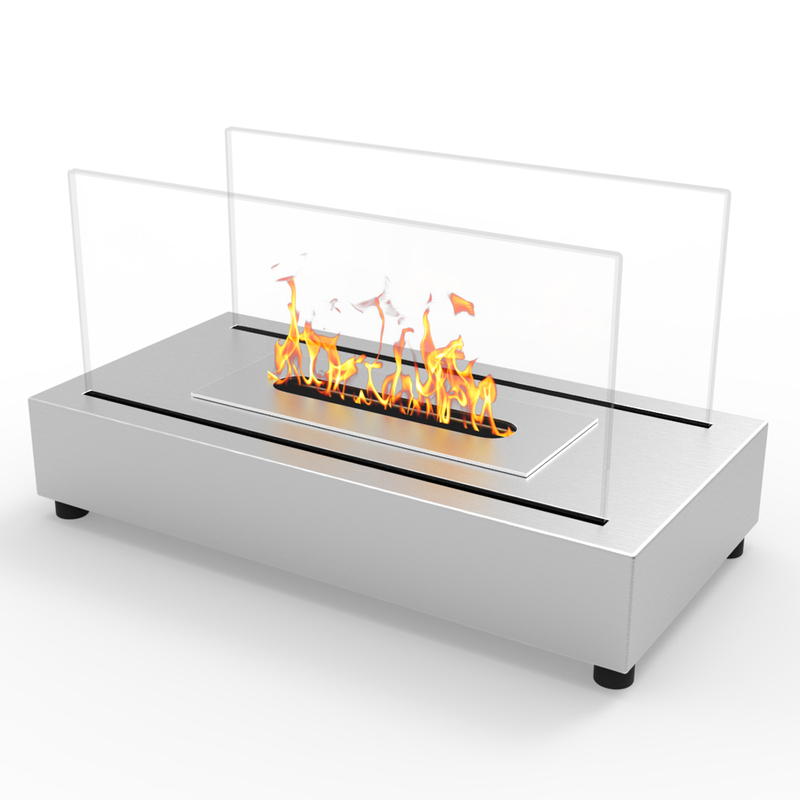 This is a great little table top fireplace that we use to roast marshmallows and use for romantic dinner settings. looks great, I have it as my dining room table center piece. I've gotten a couple of compliments already - Simply...Nice! Awesome for my bedroom. 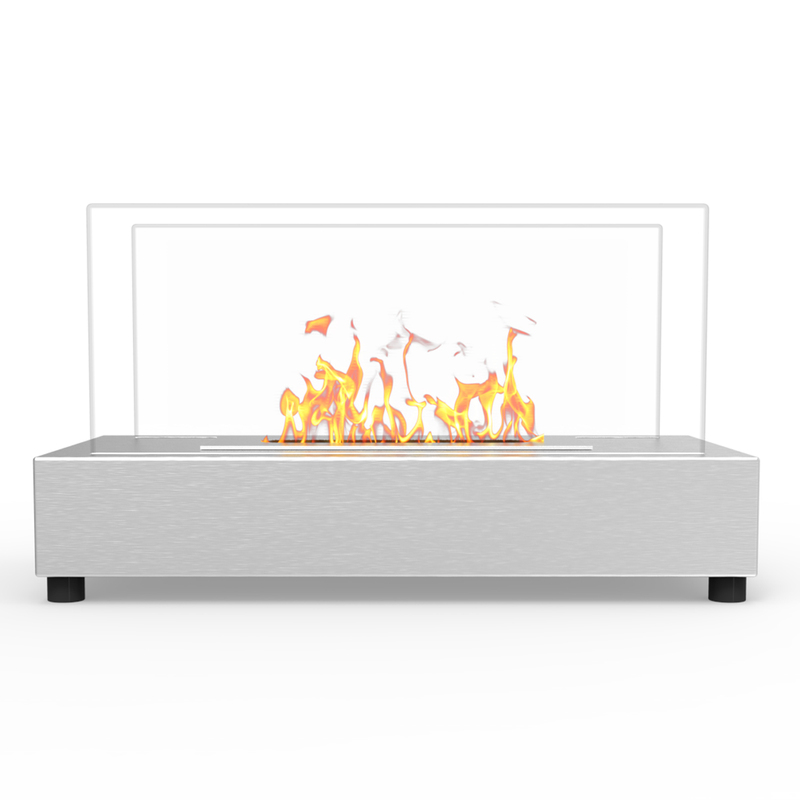 Heats up the Room great. Received a lot of compliments on it. Better than expected. I have been showing everyone and they love it! Some will be ordering. Just buy it! You won’t regret it.